With the BACnet Airport Conference, which will take place from 27 to 28 September 2018 at Frankfurt Airport, the BACnet Interest Group Europe (BIG-EU) is presenting solutions for reliable building operation at airports for the first time. This also benefits other industries, whether hospitals or universities, shopping centres or office buildings – everyone can learn from airports. In our interview Klaus Wächter, the President of the BIG-EU, talks about what to expect from the topics being presented and discussed at the conference. What’s so special about the 1st BACnet Airport Conference? 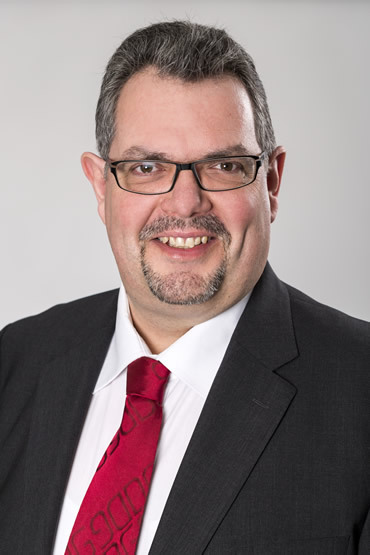 Klaus Wächter: There is a close connection between BACnet and building operations at airports. Whether they are in Frankfurt, Munich, Paris or Manchester, airports see the independent communication of their building systems with BACnet as fundamental to their development. Strategic growth as well aseconomic and environmental goals can be achieved sustainably with BACnet. The Airport Conference will focus on BACnet applications from ten European airports. BACnet solutions for a specific industry have never before been discussed in such depth. Klaus Wächter: Best practices for the reliable operation of building systems, for safety, for achieving CO2 savings, and also for the comfort of passengers and staff will be presented. With energy savings in building operations, airports are meeting their climate targets. Helsinki Airport will make a presentation at the conference about how it intends to achieve CO2 neutrality by 2020. Munich Airport is the first German airport to want to become CO2-neutral by 2030. According to publicized statements, they opted for BACnet because the open communication standard is perfect for combining different manufacturers and trades. Klaus Wächter: The airports are particularly innovative when it comes to the application of new technologies – and many airports are also a source of progress for BACnet. Fraport AG recognized the strategic importance of this independent standard at an early stage. Since 2008, BACnet have been used by all control and regulation systems for HVAC technology, including individual room control, cooling and sanitary installations. This will remain the case, because Fraport will also network the building technology in the future Terminal 3 with BACnet. These are all best practices for other industries as well. Whether hospital or university, shopping center or office building – everyone can learn from the airports. With BACnet as the integration hub for building systems, they remain economical, flexible and independent. Klaus Wächter: With a worldwide market share of 64%, BACnet is the most successful standard in building automation. This also makes BACnet the driver behind many digitization projects. The topic of digitization is a recurrent theme throughout the conference. In its welcoming address, the European Commission will point out the opportunities of change. A major building planner is addressing the digitization project at Vienna International Airport, and Munich Airport will address the problem of cyber security and present the new Information Security Hub, a solution that also protects BACnet installations. Klaus Wächter: Finally, we have planned for two highlights. 20 years after the founding of the BIGEU, Thomas Herrmann, the former planning manager of the Berlin Reichstag and the parliamentary buildings, looks back on the first European BACnet installations. We will then end the Airport Conference with a bus tour through Frankfurt Airport and to the construction site of Terminal 3. SEMA Safety Conference 1st November 2018 – SEMA can make storage safety possible!